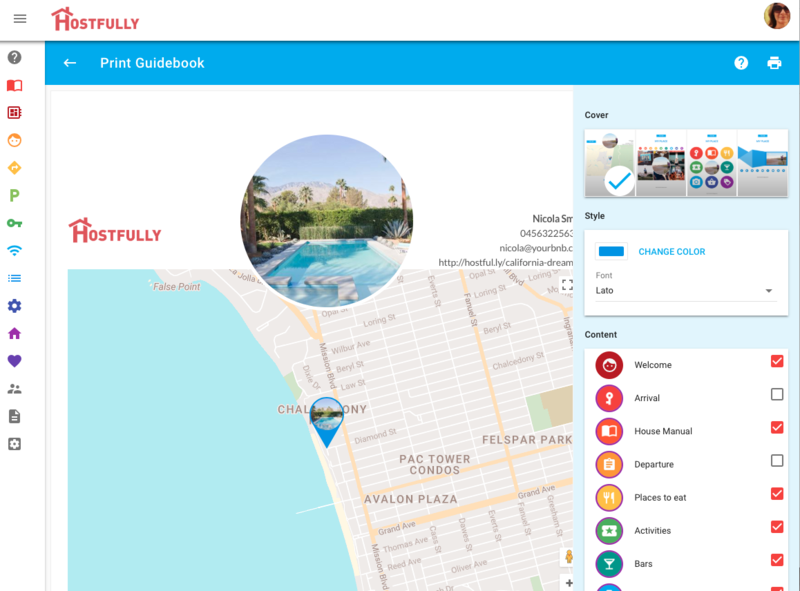 Not only do Hostfully guidebooks look great on web and mobile, we also provide an interface to print a beautiful hardcopy to keep in your listing(s). To access the printing interface, first open up any of your guidebooks in edit mode. We recommend using Chrome or Firefox on a desktop browser for printing. You will see a number of icons in the upper right hand side of the view, one of which is a little printer icon. Clicking this icon will bring up the printing interface, where you can choose a few custom settings and then print your guidebook. Once you are happy with your settings, you can click the print icon again on this page (in the upper right as well) and your browser should open it's native printing dialog and you will be able to print to your printer, or save to a pdf.